Atwater Village — The rain stopped and the sun came out today as thousands of striking teachers rallied outside City Hall this morning on Day 5 of the L.A. teachers’ strike. 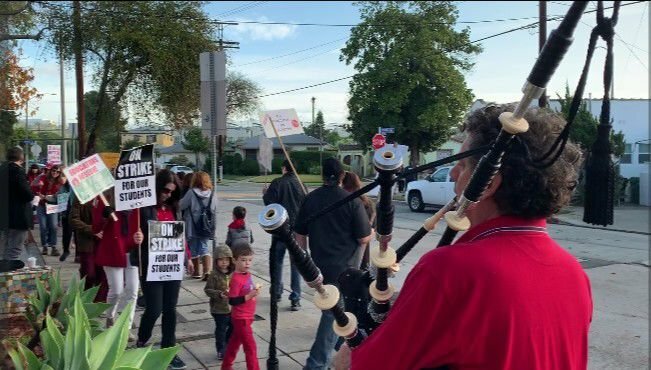 Meanwhile, a smaller but still spirited group demonstrated in support of teachers outside Atwater Avenue Elementary in Atwater Village as Aaron Shaw, a teacher, serenaded the picket line with his bagpipes, said Shelli-Anne Couch, Atwater Strikes Back, a Facebook group devoted to public education. The groups members went around Atwater Village today posting flyers that urged residents to show support for the striking teachers. 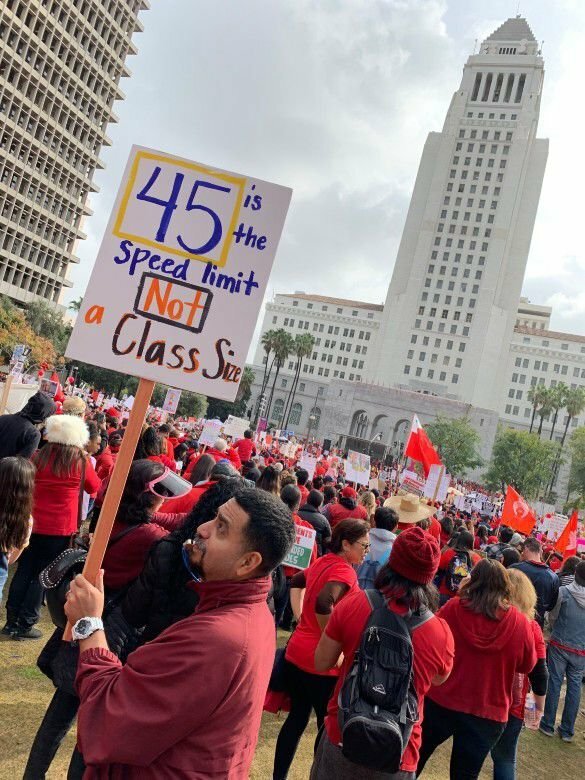 Negotiators for L.A. Unified and United Teachers Los Angeles resumed a second day of talks today at City Hall, reports the L.A. Times. While the outlook seemed more positive, there’s no indication as to if both sides are closer to reaching a deal. Update: Talks concluded today at 9 pm and are scheduled to resume on Saturday morning, said the office of Mayor Eric Garcetti.